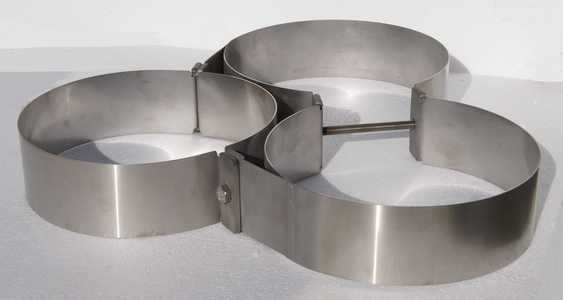 The stainless tankbands allow the assembly of several tanks between them. We have tankbands for twin-cylinders, for tri-cylinders and for quadri-cylinders. The stainless tankbands for twin-cylinders allow a typical assembly as DIR. 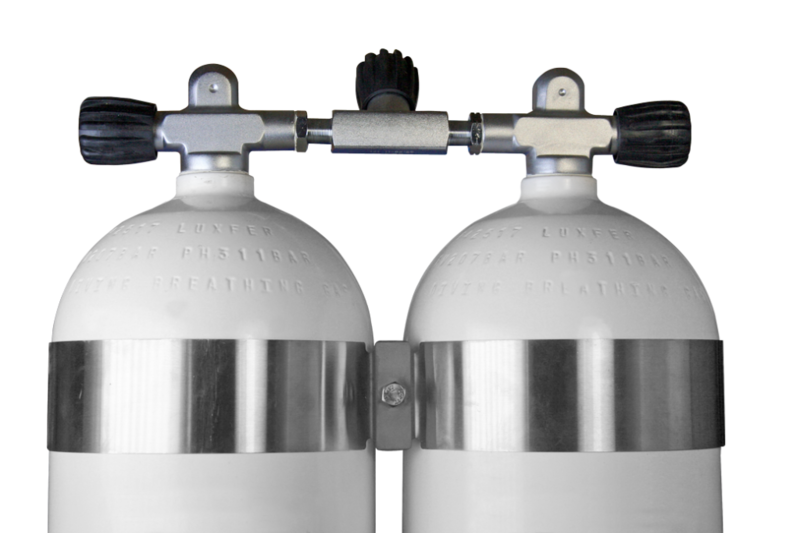 Our tankbands for dive tanks are made in navy stainless steel of superior quality. 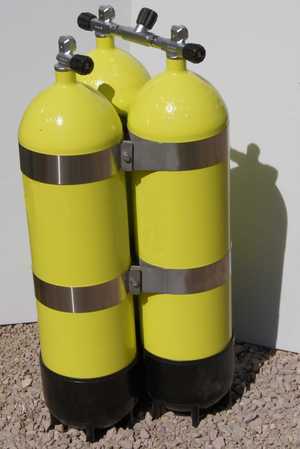 The tankbands are wide (60 mm) to no dammage dive tanks. A renforcement is present at the level of the thread bolts. 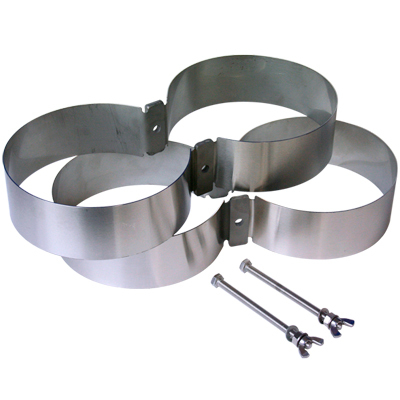 Tankbands are supplied with all bolting which allow to fix the harness. A twin-cylinders tankband is characterized by the diameter and enter axis of the tanks. Tankband for tri (3) tanks. Made to mesure example of tankband. Any size and configuration possible. Our tankband are made in navy stainless steel of superior quality. Tankband strips for tanks are wide (60 mm) to not dammage dive tanks. A reinforcement is present at the level of the thread holes. Tankband for tanks are delivered with all bolting which allow to fix the harness.